Today is May the 4th and today is also the 40th Anniversary of the Sci-Fi film franchise, so put on your best Storm Trooper outfit and join in the fun, because “May The 4th Be With You” today from all of us here at Brainstain, to all you young Jedi’s that are out there fighting the dark side! So, now that you are already feeling the force, what should you do today to celebrate the 40th Anniversary of Star Wars, on this May the 4th Day? Wait for it! We will tell you now! “Yes, John Boyega, we really are doing this, after all, it’s Star Wars day, fam!”. So, you could drink to Star Wars today, as You Only Live Once! Or you could simply play Tupac all day instead, and then dress up like him, complete with a bandana tied to your head, like this! That’s probably the best homage to both 2pac and Star Wars, ever seen together, right? You could Party Hard, with some glow sticks in some shoddy Thursday illegal rave night party, like these guys! Don’t let the night go to waste, Thursday’s the new Saturday night, you know? Dance the night away with Molly and all her friends, with some glow sticks and then earn yourself a stiff lightsaber for that after-party with Princess Leah, until the dawn comes rolling in and you’re well and truly chafed, from all the dancing done the night before! You might look like this if you overdo it, but what the hell, it’s Star Wars day! At least you know who your father is, right? Even if your eyes are all over the place. After all that action, the temptation would be to keep going, but you might need a rest. Not everyone can party like a Storm Trooper, who needs a good rodgering? It’s Star Wars day, get active! But in all seriousness, the best thing would be to watch all the films and just sit the f*ck down and watch them, but don’t watch the Prequels, because they were not so good, were they? Yeah, sit the f*ck down Anakin, you annoying little sh*t! Watch the original films instead! You know, the one’s starting from 1977, so you can feel the original FORCE, starting to immerse your being, your inner Jedi. 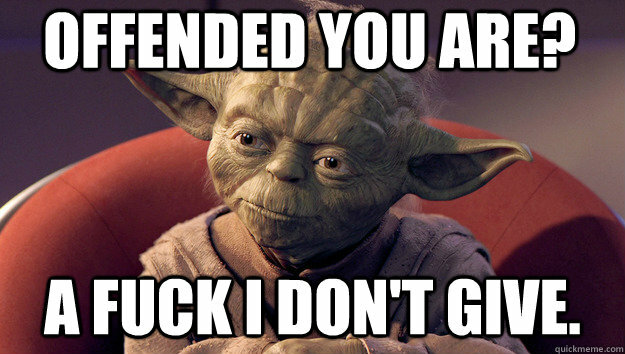 Now, we’ve offended Yoda somehow, sorry……We only told the lil’ sh*t to sit down, to be fair! However, now we all know that Yoda is a man of few words, but this is his most famous line of all…..”Fear is the path to the dark side. Fear leads to anger. Anger leads to hate. Hate leads to suffering” – Yoda (with Wise Words) So, bare that in mind, okay? That pretty much sums us up here at Brainstain, since we are purveyors of “free speech”, even in the world of Star Wars and such….We are helping to destroy the Dark Side everyday, as you might have noticed if you’ve been following us here at Brainstain, which you totally should, so come back everyday, ya’ heard?! And spread the word, because if you’re not following us by now, then……. If you have a problem with that, then come on! Let’s get it on! But, we know you love us, why else would you still be here?? Our Force is Very Strong, you see? The Force is undeniably strong within us! Now, we think that will give you enough motivation to celebrate May the 4th on the 40th Anniversary of the Sci-Fi film franchise, in some style, don’t you? “Oh, shut up Hillary!” Everything was good until you came along and ruined the Middle East, then Europe as a consequence! But still, a good effort “Hillary” on that campaign run, even though you still can’t fathom that loss, can you? It was a close cigar in that electoral college. NOT! 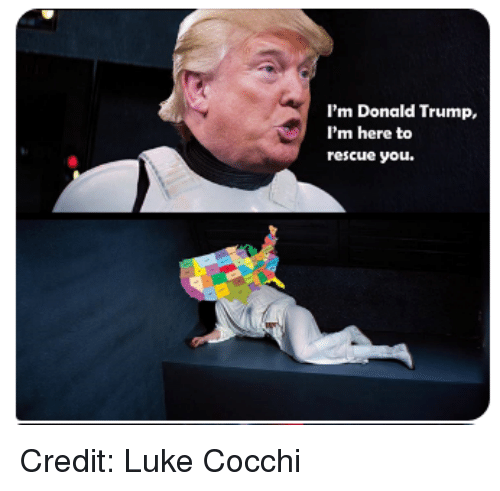 May the Force be with You and with Donald Trump! God bless America! Brainstain, over and out!